Gordon Tours, Established in 1972, is one of israel's largest incoming tour operator and is engagaged in both incoming and outgoing tourism. 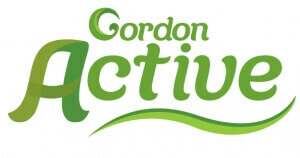 Gordon Active is our newest subsidiary and was launched in order to foster and develop active holiday experiences that highlight bicycling tourism in Israel. Gordon Active's unbeatable combination of skilled staff members, high-qulity gear, experienced proffesional guides, and a dedicated support team, guarantees the finest cycling, hiking and multisport vacations in Israel.